Neil Pyper is associate head of school - enterprise and commercial in the School of Strategy and Leadership at Coventry University. He is a specialist in international business strategy, and is especially interested in emerging markets, with particular expertise on country risk in Latin America. Pyper also has a strong interest in business school pedagogy. He is a senior fellow of the Higher Education Academy. 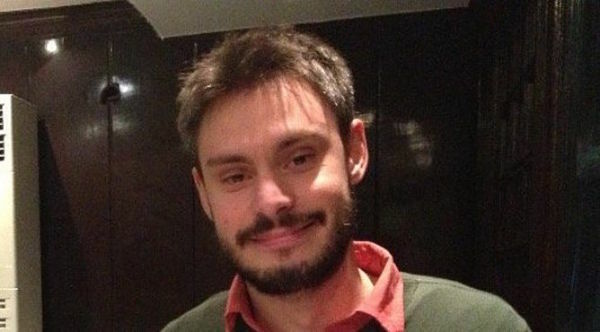 The body of Giulio Regeni was discovered in a ditch in Cairo on February 2, showing evidence of torture, and a slow and horrific death. Giulio was studying for a PhD at the University of Cambridge, and was carrying out research on the formation of independent trade unions in post-Mubarak Egypt. There is little doubt that his work would have been extremely important in his field, and he had a career ahead of him as an important scholar of the region. Giulio, originally from Fiumicello in northeast Italy, had a strong international background and outlook. As a teenager, he won a scholarship that allowed him to spend two formative years studying at the United World College in New Mexico. He was especially passionate about Egypt. Before beginning his doctoral research, he spent time in Cairo working for the United Nations Industrial Development Organisation (UNIDO). At the age of 28, he stood out with his big hopes and dreams, and he was committed to pursuing a career that would allow him to make an impact on the world, which is a poorer place for his passing. Those of us who worked and spent time with him are grieving – but above all, we are furious about the manner of his death. While murder and torture are inherently of concern, Giulio’s case also has much broader implications for higher education in the UK and beyond. British universities have long fostered an outward-looking and international perspective. This has been evident in the consistent strength of area studies since the middle of the 20th century. The fact that academics from British universities have produced cutting-edge research on so many areas of the world is an important factor in the impact and esteem that the higher education system there enjoys. In order to carry out this research, generations of scholars have carried out fieldwork in other countries, often with authoritarian political systems or social unrest that made them dangerous places in which to study. I carried out such research in Peru in the 1990s, working there while the country was ruled by the authoritarian government of Alberto Fujimori. Alongside this research tradition, universities are becoming increasingly international in their outlook and make up. Large numbers of international students attend the classes, and their presence is crucial for making campuses more vibrant and diverse. Giulio’s murder is a clear and direct challenge to this culture, and it demands a response. If our scholars – especially our social scientists – are to continue producing research with an international perspective, they will need to carry out international fieldwork. By its nature, this will sometimes involve work on challenging issues in volatile and unstable countries. Universities clearly have a duty of care to their students and staff. This is generally exercised through ethics committees, whose work means that much greater care is taken than in the past to ensure that risks are managed appropriately. However, there is the danger that overly zealous risk management could affect researchers’ ability to carry out their work, making some important and high-impact research simply impossible. We cannot protect against all risks, but no scholar should face the risk of extrajudicial violence from the authorities. If universities are to remain internationally focused and outward-looking, we must exercise our duty of care towards our students and colleagues when they are working in other countries. 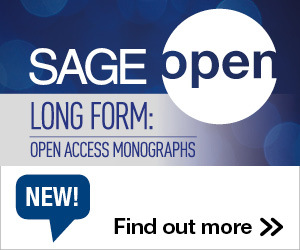 But there are limits to what academic institutions can do on their own. It is vital that governments raise cases such as Giulio’s, and push strongly for full investigations and for those responsible to be held to account. The Italian and Egyptian authorities have announced a joint investigation into what happened to Giulio, but the British government also has a responsibility to make representations to this effect. That would send the message that any abuse by authorities of students and researchers from British universities will not be tolerated. A petition will be circulated to this effect, and Giulio’s friends and colleagues will be campaigning on the issue in the days and weeks ahead. Giulio Regeni’s murder is a direct challenge to the academic freedom that is a pillar of our higher education system. He is only one of many scholars to find themselves in grave danger. While it’s still not clear what happened to him, we know that others have been arbitrarily detained and abused in Egypt. As a scholarly community and as a society, we have a duty to strike to protect them and their colleagues who study in dangerous places the world over. This entry was posted in News and tagged Egypt, Fieldwork, The Conversation. Bookmark the permalink. Post a comment or leave a trackback: Trackback URL.